212 Inc., a leading outsourced sales and marketing company, announced participation in the National MS society walk in Narragansett, Rhode Island. Employees of 212 also gave personal donations to the charity. By making these donations, 212, Inc. will help the National MS Society fulfill their various goals, which include furthering research to prevent, treat and cure MS, as well as reaching out to individuals, families and communities living with MS. The choice was made to raise money and participate in the walk for MS when the team members of 212 realized that almost all of them know a friend or family member living with MS.
“Not only is MS a disease I personally want to help raise awareness of and do my part to help fund research, but it was also a great way for us to come together as a team,” said Andrea Atkinson, President, 212, Inc.
Andrea Atkinson has already set future gift-giving goals including participating in the Walk for CF this May and a possible charity softball game this summer. 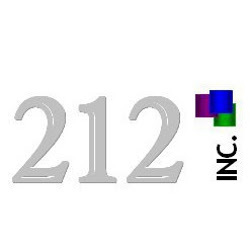 212, Inc., is headed by Andrea Atkinson and headquartered in Providence, RI. The company specializes in direct marketing by bringing products and services directly to consumers.